San Manuel, AZ (March 9, 2019) — The MotoCity Anthem Arizona State Championship Series round 8/ Fly Racing Mini Series round 7 hosted by AMRA (Arizona Off Road State Championship Series) and Trail Riders of Southern Arizona landed on the fields and surrounding desert of San Manuel High School in San Manuel, Arizona. 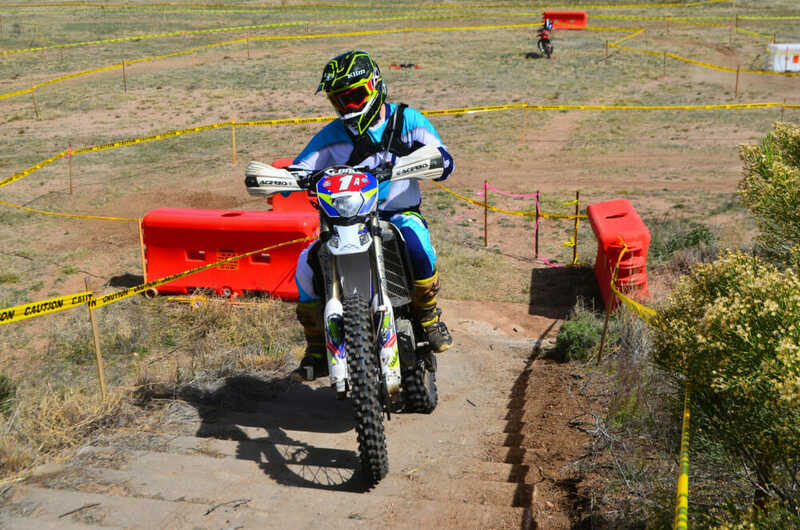 This round was one of few races of the season that ran the restart enduro format, meaning each lap had a break afterward for pitting and rest. The start line for big bikes was on the field of the high school, a welcome addition in recent years. 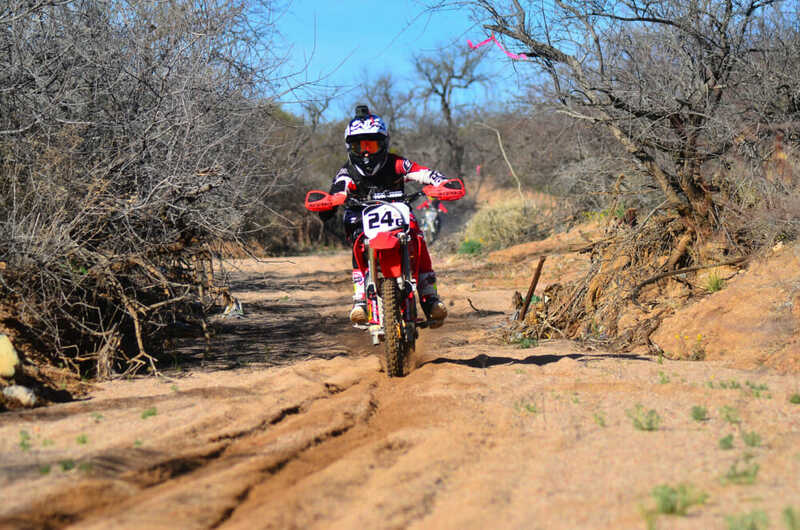 The rest of the course was open single track in the Southern Arizona mountains, with a mix of fast open areas and tight, technical spots that required skill and focus to get through. The Supermini duo of Crazy C Racing’s Dominic Craighill and fellow Kawasaki rider Chase Haynes battled early on in the race, with Haynes leading the first few laps until Craighill finally caught him and was able to quickly put a lead on him the last three laps. By the finish, Craighill had a two-minute lead on Haynes to take the Supermini win and extend his points lead. Jaime Pena would take third with Jonathan Kirat following in fourth. The 85cc 12-14 Year-Old class had Jeremiah Campbell taking the win on his Honda after taking the early lead, with Ruffin Dodson’s Husqvarna in second and Matthew Trapp’s KTM taking the third spot on the podium. The 85cc 9-11 Year-Old class had Jace Vogt’s KTM taking the first lap lead and holding it for the remainder of the race and winning with a four-minute lead. 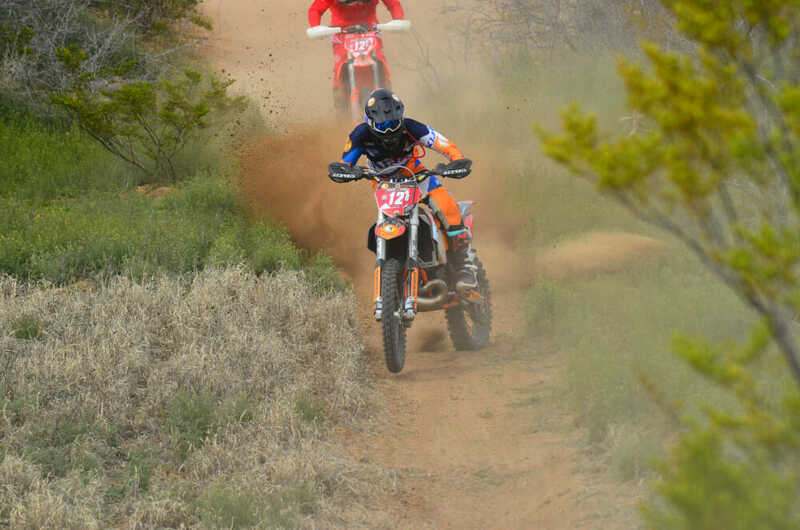 Jackson Powell would take second with his KTM and Kayden Sanders took third aboard his Yamaha. 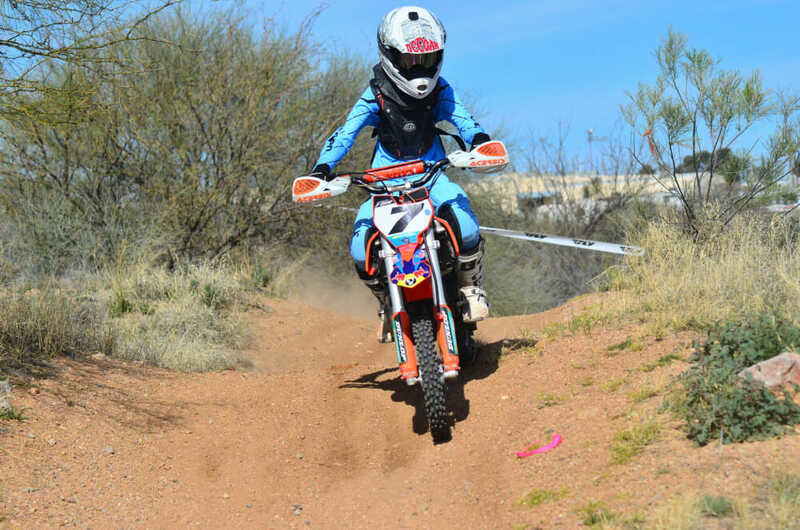 Jon Nordling’s KTM took the win in the 65cc 10-11 Year-Old class, ahead of the KTM of Jesse Blevins-Heck and the DA8 Training Husqvarna of Colton Calmes. Race two had the PeeWees out to conquer the smaller course, starting with the 65cc 7-9 Year-Old class, with the KTMs of Deegan Fox and Marley Kuhn battling on lap one, but soon after Fox would take the lead and keep it for the remainder of the race, taking the win one minute ahead of Kuhn. Drake Powell’s KTM would round out the podium. 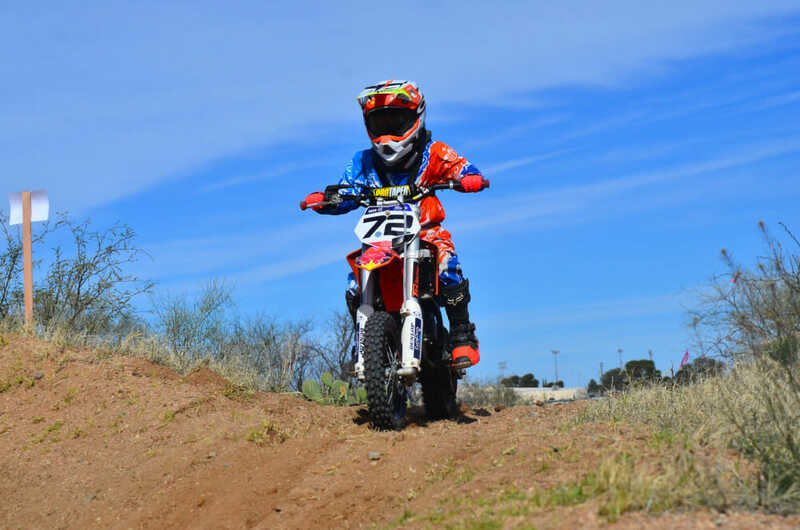 James Mermelstein took the early lead in the 50cc 7-8 Year-Old class ahead of Kyle Riddle, and held it all race to take the victory with a 10-second lead. Gary Sanders and Corey Mcgowan both put on a strong ride and rounded out the top four. 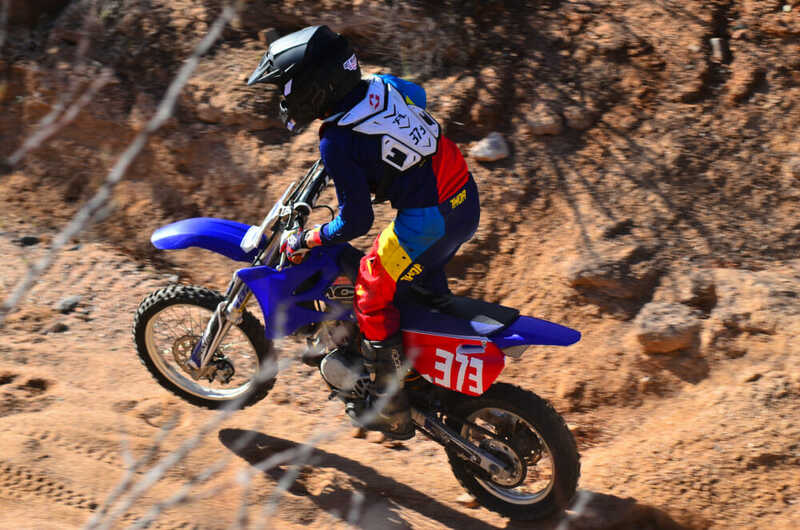 Edward Reim held a strong lead over the rest of the pack in the 50cc 4-6 Year-Old class, taking a one-minute victory over second-placed Cade Sutherland’s Yamaha and Sean Riddle’s GasGas electric bike. The big bikes lined up on the grass field of the high school and prepared for battle. With the knowledge that there was a break after each lap, the racers knew that this race was a test of quick-lap endurance. The restart-enduro format is favored by some for the longer nature of it compared to a sprint enduro. As each row lined up with classes intermixed, each racer knew it was a battle to pass and get to their own class competitors. Starting with the AA Pro class, it was the AZ Dirtbike Training KTM of Ryan Wells that took the victory across all the cumulative tests. Following close to Wells and finishing 32 seconds behind was the Northland Motorsports Team Green Kawasaki of Clay Hengeveld, getting some local seat time while waiting on the national races. Rounding out the podium and putting on a dominant performance was the Team Topar-backed by Hard Enduro Outfitters Sherco of Nick Brawner. The 3Bros Racing KTM of Ryan Kudla and the Fly Racing Sherco of Kyle Hutcheson would round out the top five for the AA class. Open A had GasGas support rider James Flynn on the top spot after a close race with second-placed AzBimmerMotorWorks KTM of Nick Fouts. Flynn took the win by three minutes in the long desert course. The Dirt Riders West Beta of Nick Mcgowan would round out the podium in Open A, with the KTM pair of Bobby Russell and Travis Azure would round out the top five. The 250 A had the young gun KTM rider of Noah Tidball take the win ahead of Hunter Lamca and Michael Peristere. The Eagle Safety Training KTM of Kyler Heimer took the 200A win, advancing his points lead. David Kertz put his Beta on top of 30A with Austin Ferniss and Brad Crane following respectively. Jeremy Giroir’s Husqvarna topped the 40A podium with Tim Wussow and Paul Jones making a KTM 2-3. The “young at hearts” of 50A had Kenneth Kozlik and Hans Bindels putting their KTMs in a 1-2 finish ahead of the Husqvarna of Ernie Allsup. Open B had Thomas Parrella take the win on his KTM ahead of Jack Giese’s Honda and Paul Rehn’s Husqvarna. Alex Landsberger and his Honda took the 250B win ahead of Cole Cherick’s KTM and Bryce Johnston’s Yamaha. Billy Kovacs and Caleb Lamca took the top two spots in the 200B class on board KTMs. In 30B, Chris Markle took the win on a Husqvarna ahead of Nick Fisher’s Yamaha and Joseph Brown’s KTM. In a massive 40B class, it was Ryan Mclenahan’s KTM that took the win with the Husqvarna of David Croteau and Michael Angulo’s KTM trailing behind. Lars Breidis, Jim Kovacs and Todd Ritchie were the top three in 50B, finishing strong rides. 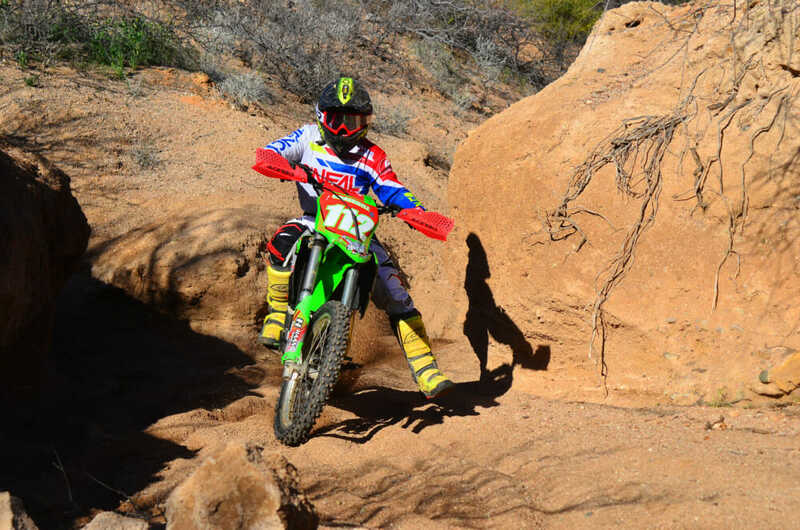 Daiana Trapp powered through the harsh course to take the Women’s B victory onboard a KTM. 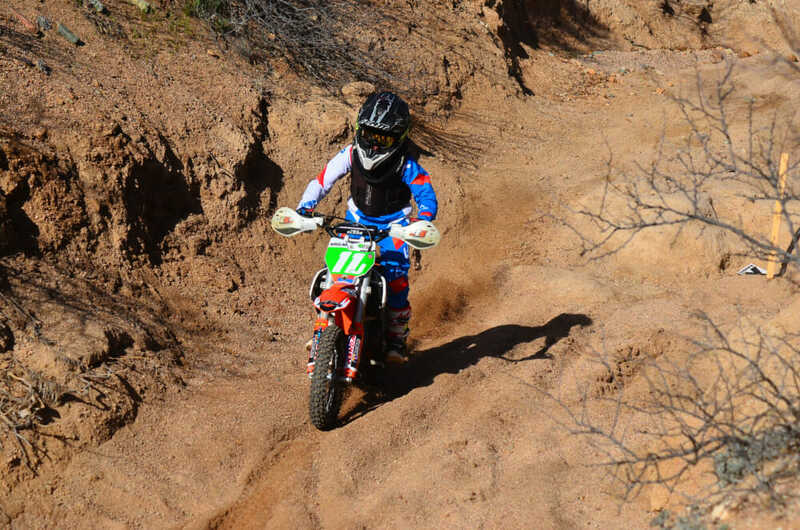 Jacob Wakefield’s Honda took the top spot in Open C, followed by the KTM duo of Shon Reim and Michael Ebert. 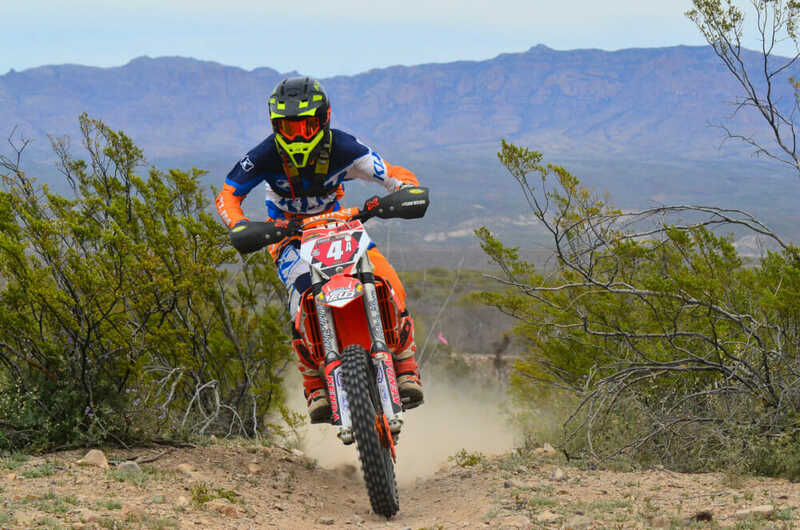 Kaden Bedlion and Matthew Brunskill took the top two spots on KTMs in 250C, with third-placed Husqvarna rider Zachery Griswold shortly behind. 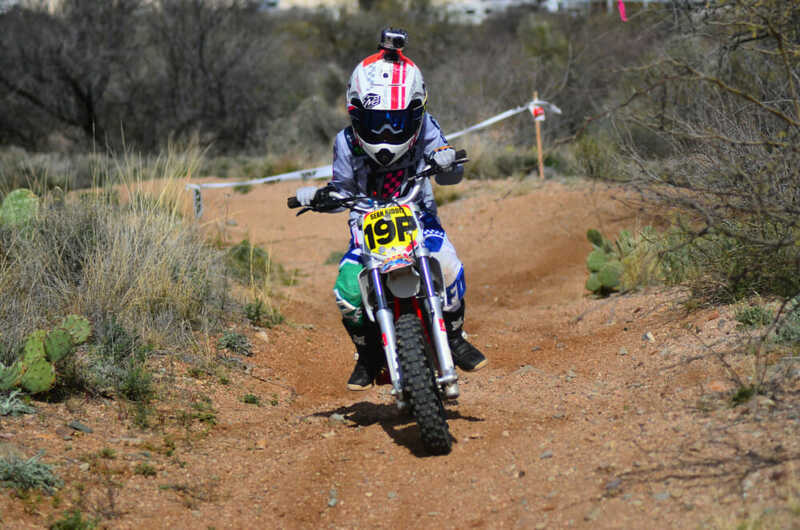 The 200C class had a Husqvarna on top with Deegan Bauch at the controls, with Yamaha rider Cole Dilley and the KTM of Kaelyn King taking second and third respectively. Ronnie Morton, 30C rider, took the win on his Husqvarna, followed by Andrew Boyd and Justin Martin on Hondas. The 40C class had a KTM sweep of Steve Navis, Paul Armstrong and Jasper Simonds. Thomas Brown took 50C by storm, finishing ahead of Dean Henthorn and Mike Jarman. Catalina Springstroh finished strong in Women’s C, finishing on top. Dominic Craighill, hot off his victory in the Supermini race, took the victory in Youth C and finishing fourth overall C, as well. Alex Trapp followed Craighill on his KTM and Ruffin Dodson took his Husqvarna to third place. 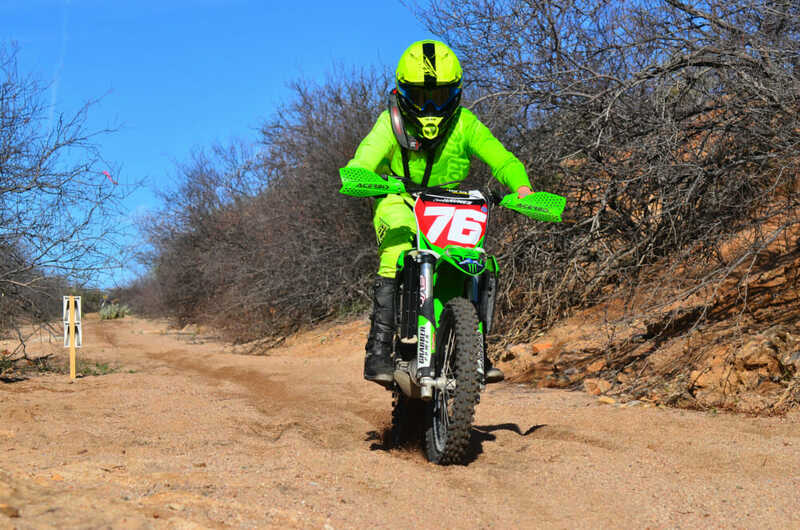 The round 8 stop of the Motocity Arizona Offroad State Championship was a fast, flowing race with many challengers and one of the largest turnouts thus far in the season. The next stop is the Sheridan Mountain Showdown at Camp Wood in Prescott, AZ.